In order to grasp the genesis of this new project, which is surprising at first glance, we must doubtless focus on what these two artists have in common, more than on what differentiates them. The two protagonists, who are internationally recognized masters of styles, reggae and dub, which they have been developing together for almost 20 years without ever really meeting, are constantly striving to overturn the codes, with ever greater respect for their Jamaican origins. Two decades in the service of a merciless struggle against musical orthodoxy, in favor of cross-breeding, which have always contributed to the evolution of the history of music and the arts in a more general way. 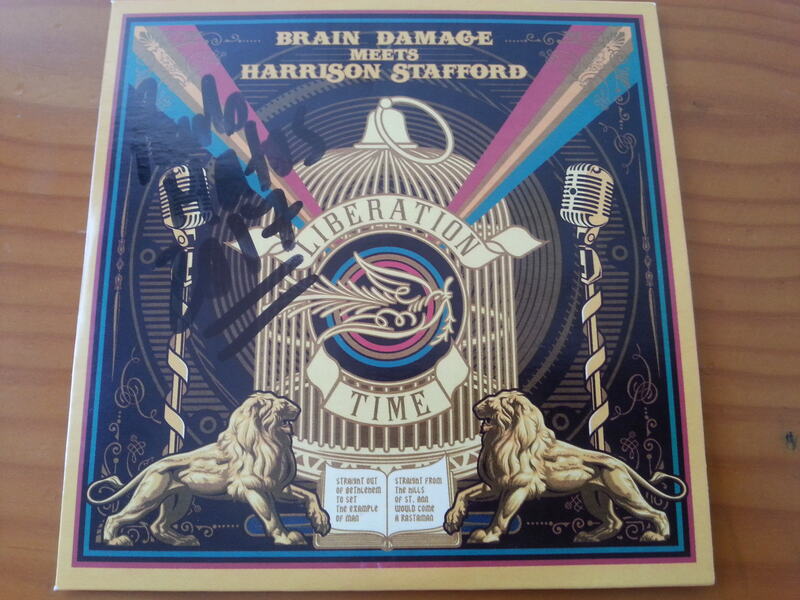 This is evidenced by the fusion of Jazz and the various traditional Jamaican music in the case of a "Harrison Staffordand especially his extraordinary adventure with Groundation , as well as the countless experiments of Martin Nathan , with the abundant discography of Brain Damage , whose orientations are always more improbable and adventurous. From this unexpected meeting will be born the album "Liberation Time" , which will delight many of the enthusiasts of the works of the two artists, so everything that contributes to make their respective particulars is represented there. The unique voice of Harrison Staffordis used here as a vector to more and more elegantly foment a unifying message centered around self-emancipation by music and its universalist vision of the Rastafarian faith. The writing and the production of Brain Damage appear always finer and personal, intellectualized but nonetheless visceral. Solid compositions, unstoppable melodies, classy dub effects, all of which will undoubtedly make "Liberation Time" one of the most successful collaboration projects of the year. With already 12 albums under his belt, Martin Nathan has been multiplying for almost 20 years the most diverse artistic proposals under the name of Brain Damage . By turns dark, atmospheric, demanding or poetic, his universe seems to be in perpetual movement, probably constituting one of the keys to the longevity of his project. In 2011, the departure of his acolyte marks the beginning of a new era for the project, which becomes more than ever polymorphic. Martin Nathan then alternates collaborations (High Tone, Vibronics, Sir Jean) with his solo works bringing him closer to the sources of his style of predilection. By 2015, most of the project "Talk the talk / Walk the Walk" , with icons like Horace Andy, Willi Williams, Winston Mc Anuff, Kiddus I and Ras Michael, seems to bear witness. 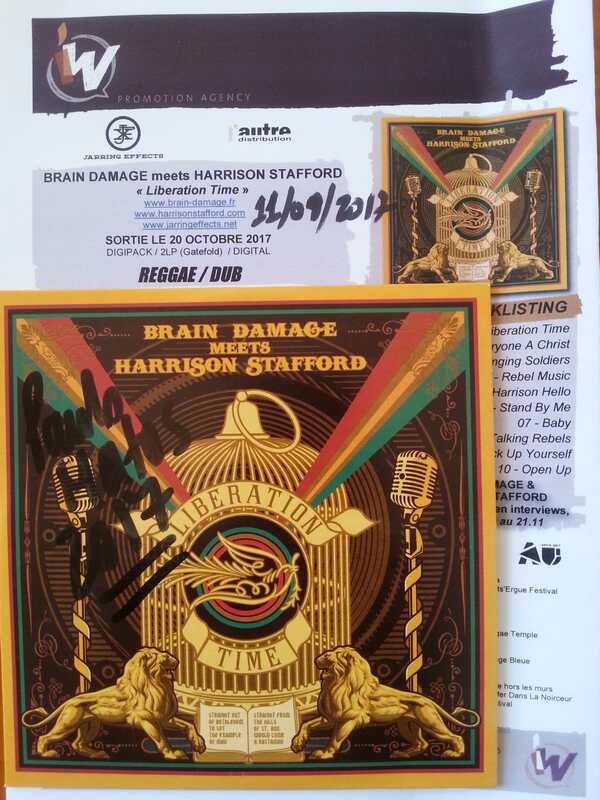 In 2017, the producer turned to the United States for an extraordinary collaboration with Harrison Stafford , lead singer and charismatic leader of the legendary Groundation, with the intention of breaking the codes again, and a desire to decompartmentalize styles and schools, sometimes locked in their orthodoxies. Over the years, he has built a solid international reputation, cultivating with talent a certain dichotomy between his studio sessions often cerebral, and hundreds of live performances, always explosive. In France, Brain Damage now appears as the link between the scene he helped create almost 20 years ago, and the new leaders of a rejuvenated dub , more synthetic and frontal. Harrison Todd Stafford was born on November 26, 1977 and grew up in Pleasanton, a city in the eastern suburbs of San Francisco in the United States. He attended public school but also in the synagogue where he studied the Torah and learned Hebrew. Music also holds a special place in his family: his father is a jazz pianist and his brother spends his time listening to Bob Marley and Peter Tosh. Harrison Stafford developed a passion for Rastafarianism, the rhythms and culture of the African diaspora at a young age. He discovered Jamaica as a teenager and met one of the pillars of the Rasta movement, Mortimer Planno. After high school, Harrison Stafford studied jazz at Sonoma State University where he met Marcus Urani and Ryan Newman. Together they formed the Groundation reggae fusion band in 1998. They were joined by other musicians over the years to form a group of nine members in total. Their first album, Young Tree , was released in 1999. From their second album, Each One Teach Onereleased in 2001, the group takes the habit of hosting reggae legends on their records. At the same time, Harrison Stafford created a course on the history of reggae he gives in his former university. The success of esteem arrives in France with Hebron's Gate , third album of the group in July 2003 before exploding with We Free Again the following year. With the other two founding members of Groundation, he recorded Rockamovya in 2008, a project influenced by jazz, which also includes Will Bernard and Leroy "Horsemouth" Wallace. Harrison 'Professor' Stafford began working the following year on the documentary Holding On to Jahto the exceptional cast. 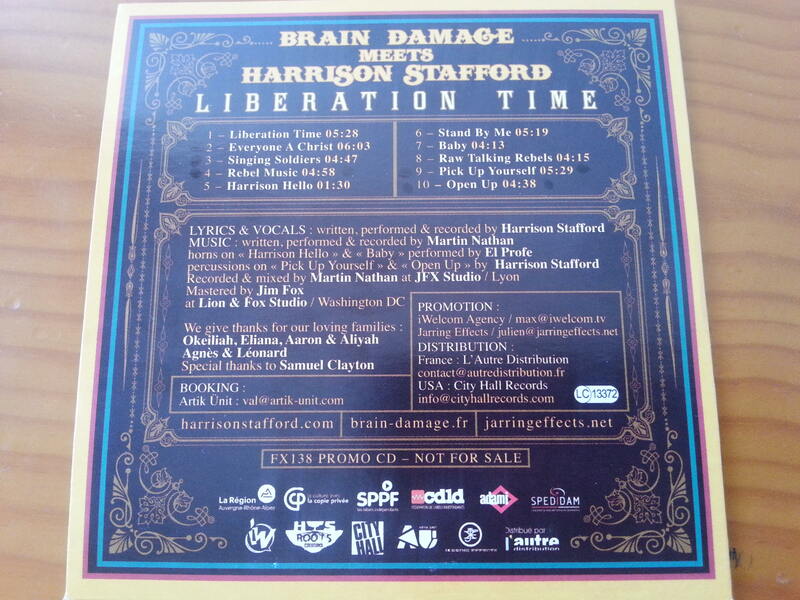 We find Leroy Wallace on the first solo album of Harrison Stafford, Madness , which he published in 2011 under the pseudo of Professor. A nickname given by the Jamaicans whose legends are invited here, as the bassist of Israel Vibration and founder of Roots Radics, Errol 'Flabba' Holt. The album, which delivers a message of universal peace, was written after a long journey to Israel and Palestine. In 2012, Groundation released a seventh album, Building an Ark, while Professor released Throw Down Your Arms , a live album featuring the Madness structure . We find him solo four years later for the album One Dance, at least for the form, because he is surrounded by the musicians who accompany him for his parallel project, Professor. The whole team offered for the occasion a pilgrimage to Jamaica and came back with this testimony sunny and technical.